The library building on Mariánské Square was built between 1925 and 1928. It was the first purpose-built library in the then Czechoslovakia as well as one of the most modern in Europe at the time. 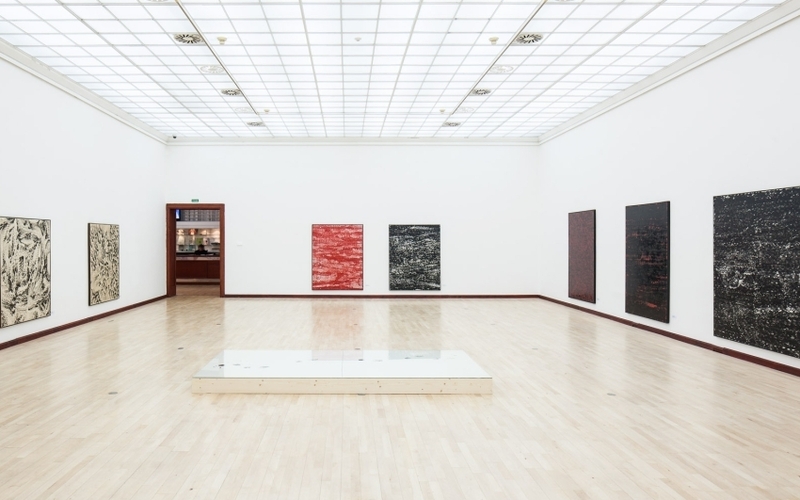 The exhibition space on the second floor is used by the Prague City Gallery. 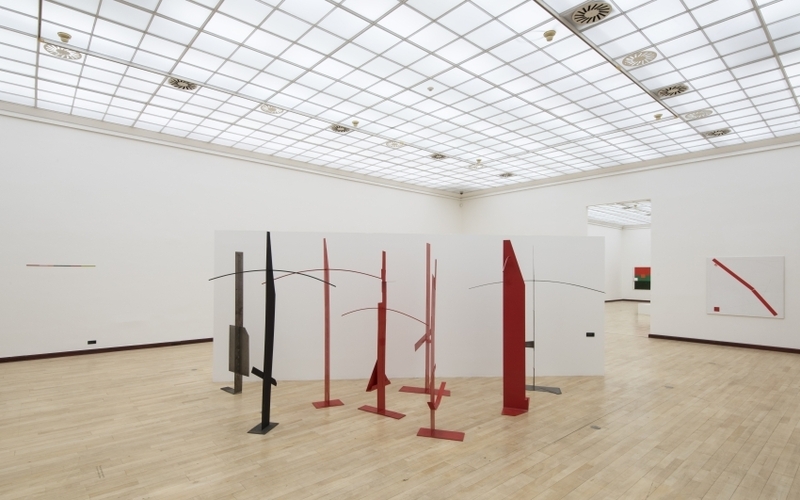 Its mission is focused primarily on presenting Czech modern art from the 19th and 20th centuries. The oldest public library in Prague continued in the activity of the society libraries, and also some marginal villages had their own libraries. The first public library in Prague was opened on the 1st July 1891, being established by a decree of the municipal council as the Public Municipal Library of the Royal City of Prague. In the beginning, it had over 3000 books; its first address was in the building of the former St. Václav jail in the Na Zderaze Street. 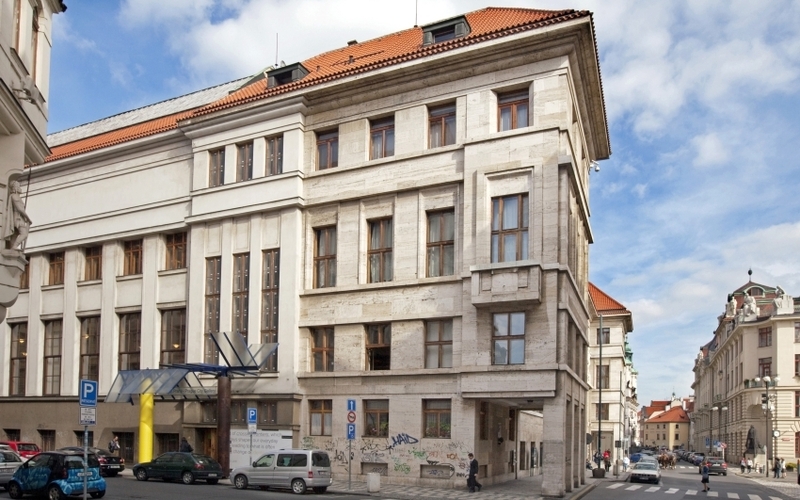 The library changed its address several times, until it finally settled at the corner of Platnéřská Street and the square Mariánské náměstí, where there used to be an Empire burgess house. The base of the modern-time library was set by its director back then, poet Antonín Sova, who also established the first six branches of the library. When 37 surrounding villages were included in Prague in 1922, which also gave rise to the so called Great Prague, also the libraries in these villages were united into one and a centralized Central Library of the Capital City of Prague was created with a network of 40 branches and this number kept growing. The library fund with approximately 260 thousand volumes was also increasing rapidly. The existing house was not suitable for the greater amounts of books. 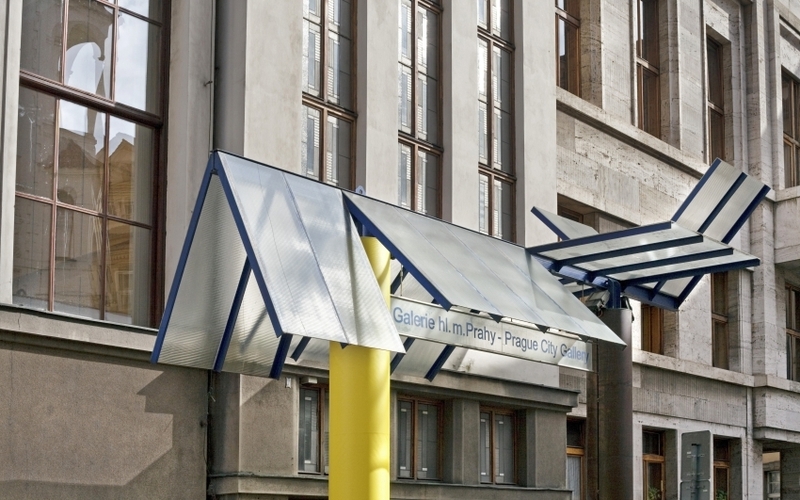 This problem was resolved by the Prague Municipal Insurance Company, which as early as in 1923 decided in a meeting of its board of directors to build a new separate building for the library needs and to donate it to the city of Prague on the occasion of the 10th anniversary of the Czechoslovak State. Out of five renowned architects, František Roith was the one to win the competition opened for the new library project. Work on the extensive building site, which was over 60 m long into the Mariánské náměstí and nearly 70 m in the vertical direction, began in 1925. This was the first purpose-built library construction in Czechoslovakia and one of the most modern in Europe. The author not only designed the new building as a magnificent library with all the respective services, but also as a cultural institution with premises for lectures, concerts and exhibitions. The library was officially opened for public on the 28th October 1928. A markedly traditionally designed building looks very suitable between the early-Baroque Clementinum and the Secession building of the New Prague Town Hall. The main front of the object unites modern temperance with Classicising segmentation. The corner parts with arcades extend into the pavement, and there is a monumental port with a balcony balustrade in the middle. On the balcony, there are 6 allegorical sculptures made by Ladislav Kofránek. The main facade, as well as the side tract, are lined by Slovak travertine. Also the interior is simple and strictly purposeful, even if a little more decorative. The monumental staircase and vestibule again use travertine, artificial stone and brass. Ornamental paintings on the ceiling of the central hall were realized by František Kysela. Even the furniture and equipment corresponded with the building’s simple and purposeful architecture. Today, the original equipment can only be seen the information centre and the theatre section. Premises for puppet theatre were built in the underground, on the side in Žatecká Street. The theatre came here from Bubeneč. A model of the scene and auditorium was realized by sculptor and woodcarver Vojtěch Sucharda, who was the founder and the first director of the local Artistic Scene of the Puppet Land (Říše loutek). About one fifth of the building is taken up by the residence of Prague’s chief magistrate on the first and on the second floor of the front tract, which is made up of the service flat, representative and reception lounges, an apartment for accommodating precious guests, and operational background. The residence has its own access from the corner of Platnéřská and Žatecká Street. The residence utterly leaves the idea of an overall restrained purposefulness. It is decorative, noble and cultured Art Deco style. František Kysela participated in the decorations and he realized the ceiling paintings and designed a large tapestry named Work, Science and Arts. Equipment and decorations of the chief magistrate’s residence were completed in 1930. However, the Prague chief magistrates never actually lived in the residence, perhaps with the only exception of Karel Baxa. It was, nevertheless, regularly used for accommodating official foreign visitors and for protocolar and representative purposes. In the years 1994 - 95 it went through a general reconstruction and the pieces of art were carefully restored. Modernity and generosity of the Roith’s project of a library from the era of the first republic is documented by the fact that only in the end of the 1970s, the library no longer suited the needs of a modern information institute, both spatially and technologically. The city initiated a generous building reconstruction in the years 1996 - 98. All the lending and studying areas were connected during the reconstruction, and free selection of the library fund was increased. The surface area extended by 900 m2 thanks to placing ceilings on two atriums and to in-built galleries.